This is it! 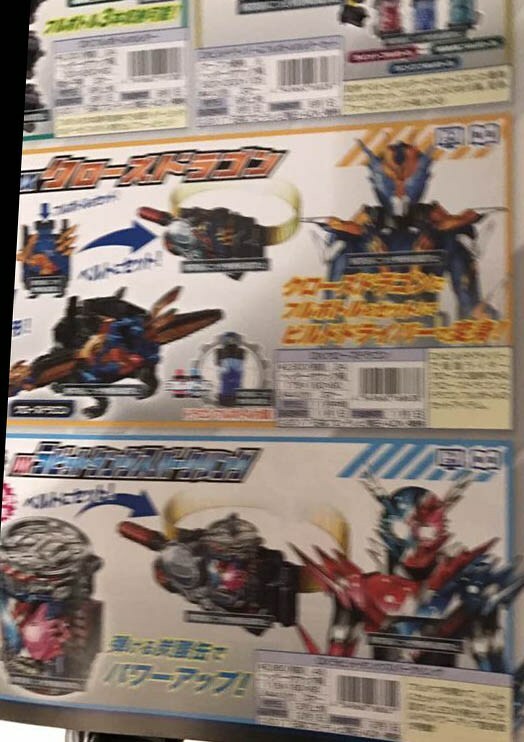 The first quarter toy catalog scans for the Kamen Rider Build toy merchandise has surfaced giving us a clear look and be informed at what will be expecting from the series. First up are the first wave of DX Full Bottle sets consisting of the GorillaMond, HawkGattling, NinninComic, RocketPanda, KaizokuRessha and OctopusLight sets. Then there is the Doctor and Game Full Bottles (EX-AID) and Tantei and USB Memory Full Bottles (W) sets. 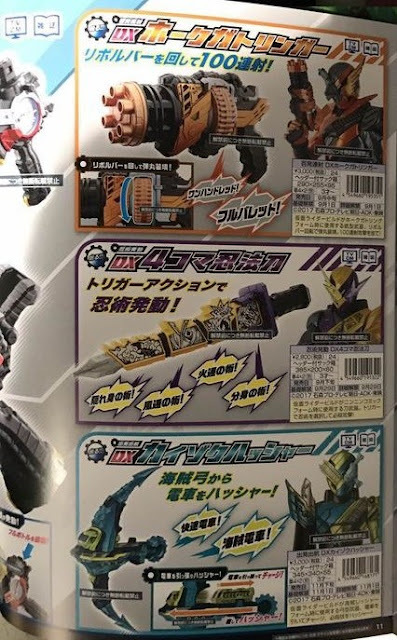 As for the DX role play weapons, we have the Hawk Gattlinger for HawkGattling, Ninpogattana for NinninComic and KaizokuRessha's Kaizoku Hassha. As for the Full Bottle holder, it is called the Pandora Panel and it holds 10 Full Bottles. 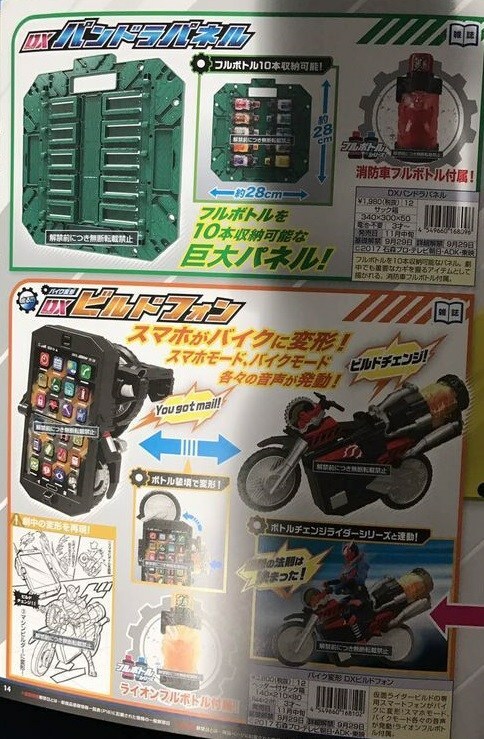 Transportation comes in the form of a cellphone called the Build Phone which has the option to transform into a bike. 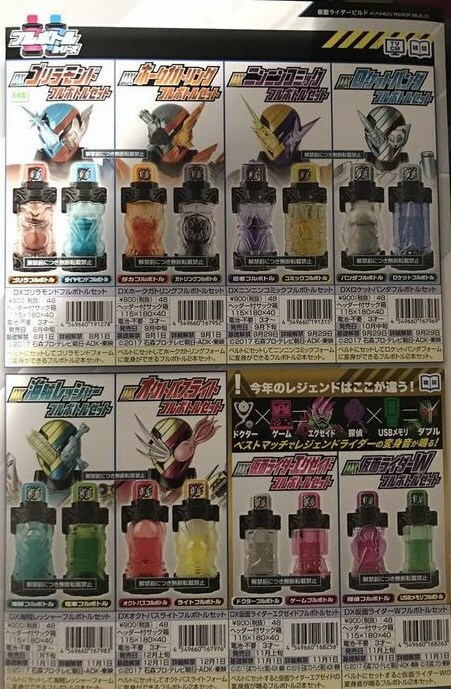 This year's figure gimmick is called Bottle Change Rider Series. Now, for the secondary Rider whom we will be calling Kamen Rider Claws, he is armed with the Beat Clawser and he transforms using the Claws Dragon. 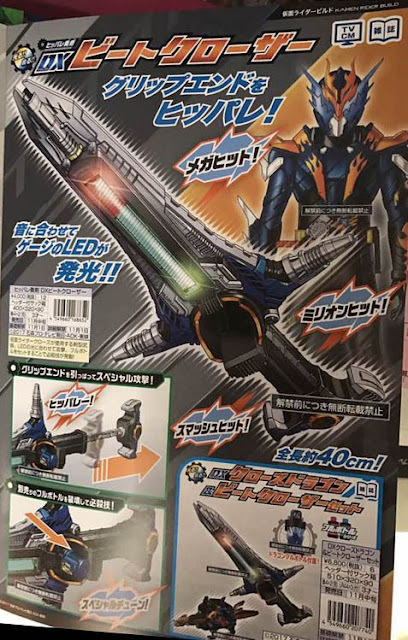 Lastly we can see one of Build's power-up form, the RabbitTank Sparkling. 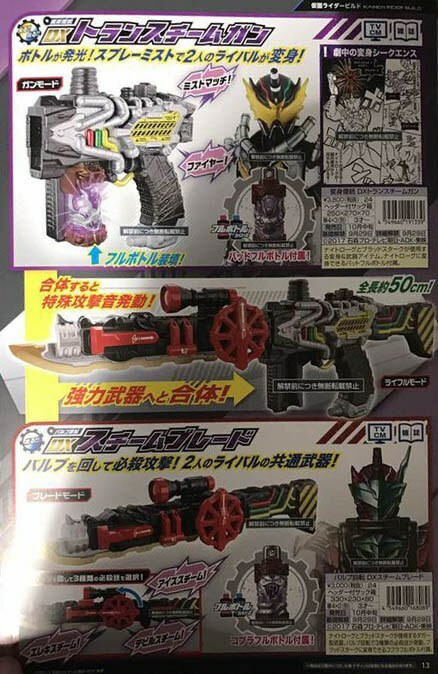 Finally, we have the Transteam Gun and the Steam Blade that are the primary weapon and transformation device for Nitrouge and Blood Stark. It's the Zyusouken/Rocket Dagger combo! The designs of the bad guys are quite good in my opinion. RabbitTank Sparkling is badass!! and Nitrouge just like Kiva. I hope the storyline is good as the suit design.. I missed rider who don't require many power option. A single gadget for a single weapon/power/element is lame, makes the rider weak and useless without a little power ups for each monster. Glad to have new amazon series which have end, wait for season 3.